Google is constantly developing its algorithm to enhance the search experience; sometimes it’s a minor tweak while other times it seems to be a major overhaul. 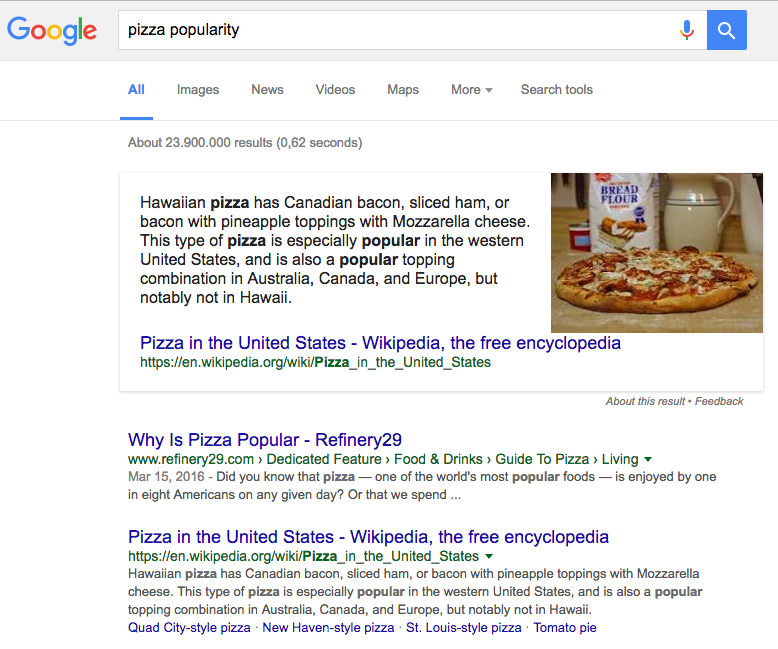 One update that looks like a small tweak at first is the addition of featured snippets, also called the Answer Box. However, for marketers, the addition of the Answer Box to the top of search results has been anything but minor. But what is the Answer Box, do you want to appear in it and are you already? We’ll answer those questions in this post. The Quick Answer Box is a featured snippet that appears at the top of a SERP when Google determines that searchers are looking for an answer to a question. This snippet includes the title of the page, its URL, a link and the text it thinks answers the question. They’ve been around for a while, but are appearing more and more as Google improves its ability to sense search intent. They are common for searches in the form of a question (obviously), as well as event schedules like movie times and concerts and recipes. Do You Want Answer Box for Your Site? There’s a bit of controversy surrounding featured snippets and their impact on marketing, as some marketers worry they discourage click through since questions are answered right in the search results. However, pages that get picked for rich snippets have seen large increases in sessions and click through rate (CTR). Plus, you get to jump to the top of the SERP, even above the first spot. We’ve also found that positioning yourself as an authority on a subject is good for CTR and encourages people to return when they have other questions. 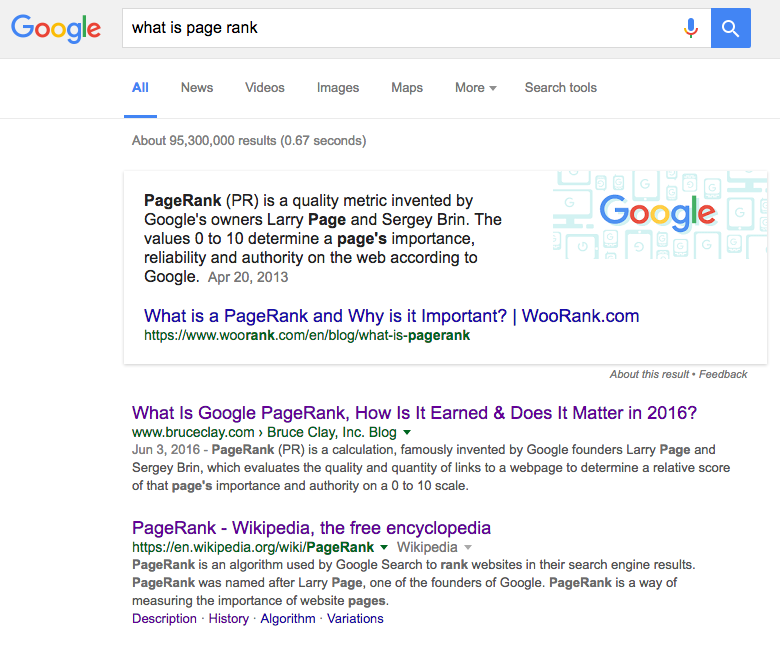 It’s tough to know if your page is already appearing in featured snippets. Not all questions in Google Search trigger one, and they’re generated automatically, so you can use Google Search Console to opt out of them, but not in. If you have the time and the bandwidth, you could theoretically do a Google search asking every conceivable question possible about your keywords. Fortunately, there’s a better option: Google Search Console Search Analytics. Next, sort your results by position by ascending order so that any keywords for which you rank first appear at the top. Now, click the little box with the arrow next to your search queries to view the SERP. As you can see, even though WooRank’s search snippet doesn’t appear in the first two results, we’ve managed to get our link all the way to the top, even beating Wikipedia in the SERP. Pretty cool. Can I Get Answer Box for Myself? If you can’t find any search snippets in Google Search Console, or you want more, you need to optimize your content for the Answer Box. The most important part is to use very explicit language when answering a question: Google is looking for content that reads like an answer, how-to guide or a step-by-step process. Your title tag, headers and sub-heads are very important here. 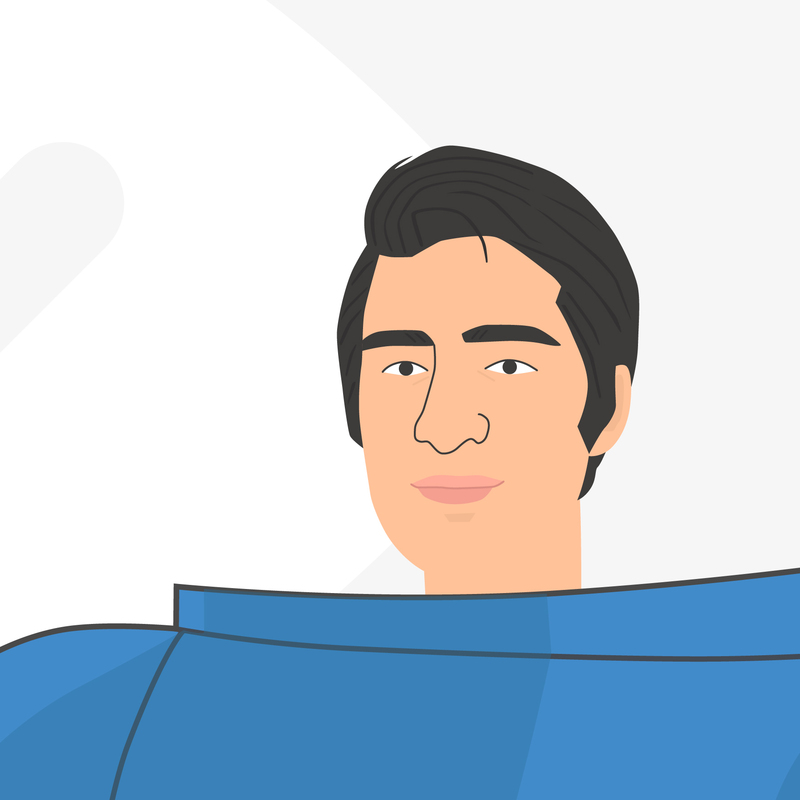 Ask the question in <H1> header and title tag, and then answer it in the body copy. If you’re trying to get an Answer Box for a how to question, use sub-heads to specify each step. When you answer the question, put the content you want in the features snippet as close to the header tag as possible. The ideal snippet length is 50 to 60 words, not characters. Google relies a lot on domain authority and trust when it picks content for a featured snippet - they want to be absolutely sure that the answer they provide is going to be correct and authoritative. So if you’ve got a new site you’re going to struggle. Fortunately, you can fall back on another extremely trusted resource: Wikipedia. You’ll probably notice most Answer Boxes read like a Wikipedia entry, and most likely come from Wikipedia. That’s because it has a lot of trust and authority. Take advantage of this by requesting a page on Wikipedia. This will make you look a little better to Google, so you’re more likely to get that features snippet. The Answer Box is a bit of a mixed bag, marketing wise. On the plus side, if you’re able to get your content into a featured snippet, you’ll leapfrog everyone in front of you and get your site right at the top of the SERP. On the other hand, there is some concern that answering a searcher’s question right in the search results will deter them from clicking through as they no longer have any need for visiting the page. However, pages that get picked for featured snippets have seen huge increases in both sessions and click through rate. We’ve found that positioning yourself as an authority on a subject actually encourages people, not only to click through to your page, but also to return to your site whenever they have other questions or are more likely to convert. 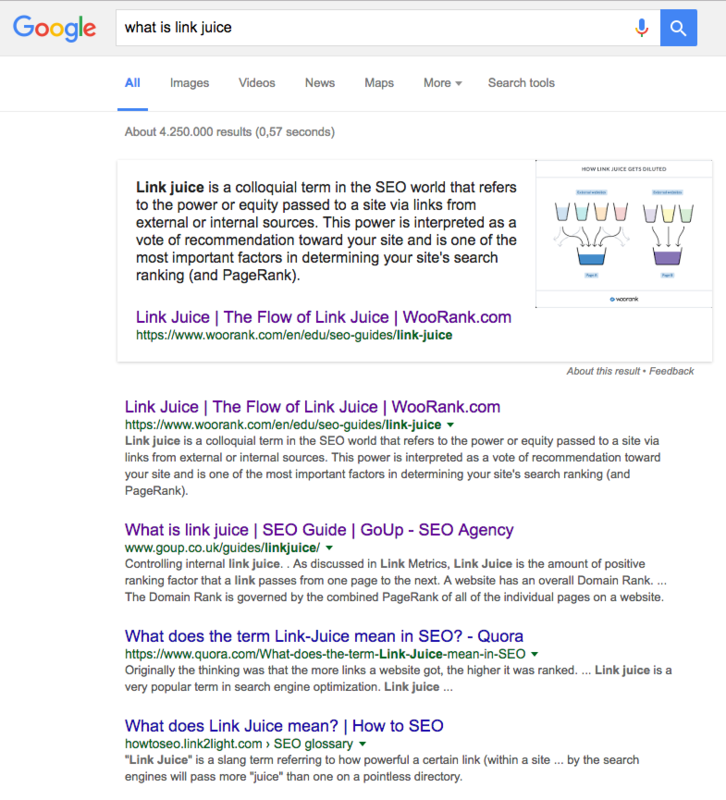 Going back to our first example, searching just for "link juice" will trigger the Answer Box summarizing WooRank’s SEO Guide to link juice. There are two ways you can go about identifying opportunities to appear in featured snippets. The first is to figure out what questions people are asking that are relevant to your keywords, and then optimize your page for the answer (more on that later). There are tools you can use like Answer the Public to find questions asked about your topic. This tool appends question-related words - who, what, when, why and how - to the front of your keyword and uses Google Suggest to create a list of questions. You can then download the list of questions as either a CSV or as an image file. 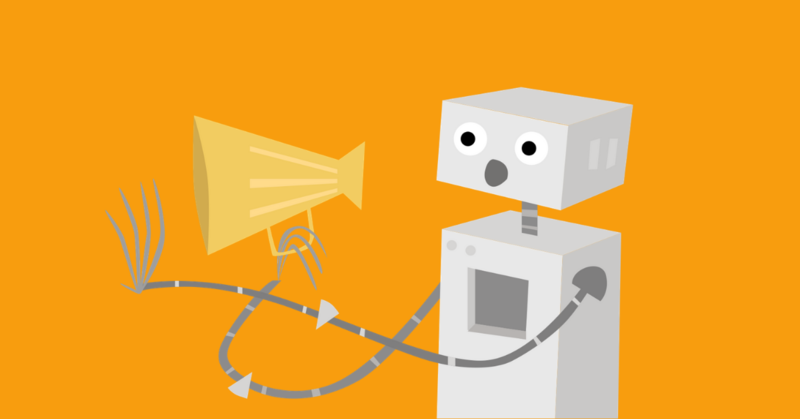 Find questions your audience are asking outside of search engines with faqfox by WebpageFX. Faqfox crawls popular forums in a particular niche for questions asked about your keyword. If people are asking questions on reddit, they’ve probably already searched Google for them. 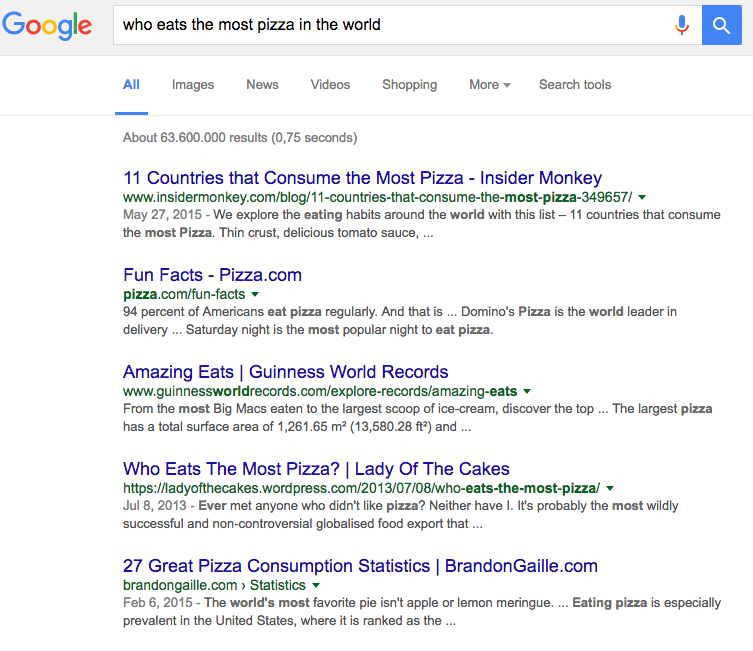 Do a bit of keyword research to make sure relevant questions get enough search volume to be worth the effort. Your second option is to find your keywords that already display a featured snippet in the SERP and create content to take the current answer’s spot. This might be a little more difficult because Google’s already decided that piece of content is trusted and authoritative enough to use in an Answer Box, but it’s possible to find answers that maybe aren’t quite right for the question. Obviously, one of the most important factors in appearing in featured snippets is to write content that authoritatively answers the question. The language you use here is important - Google is looking for content that reads like the answer to a question, a how-to guide and a step by step process. So, if I want to get my site in the Answer Box for "what is search engine marketing", I would be sure to include a sentence that starts with “Search engine marketing is…” near the top of the page. If I wanted to be featured for “how to make the perfect pie crust”, I would create a numbered list laying out each step of the process (mix flour, sugar and salt, add butter, etc.). Just like with traditional SEO, Google relies on the title tag to determine if the page content will answer the question. Give it a nudge in the right direction by including that question in the tag. Subheads: Google doesn’t always use body text for featured snippets. Sometimes they pull subheads (<h2> through <h6>) and list them in the order they appear on the page. This is particularly common for searches looking to learn a process, how to complete a task or an answer that can be summed up in a list (like the steps to appearing in Google’s featured snippets, for example). If you’re targeting these searches, explicitly lay out each step as a separate subhead and elaborate in the body text. Body copy: If you are targeting a "what is" question, use your answer in a <p> tag right after the header tag that includes the question. The ideal length for your snippet content is between 50 and 60 words (not characters, for once). Google uses schema markup to figure out what your page is about and what sort of information various pieces of content contain. 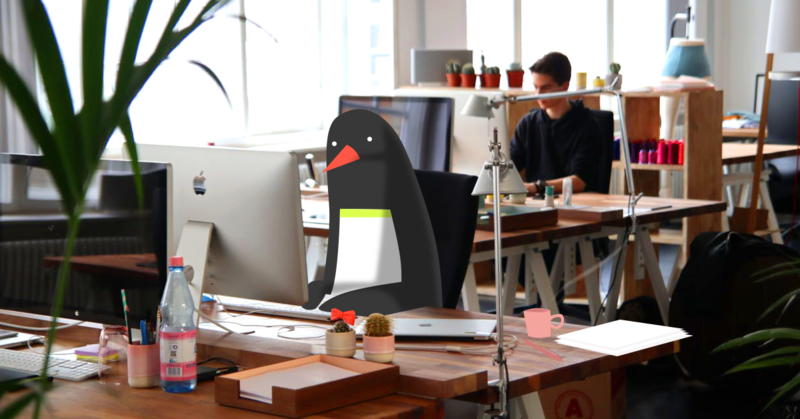 Since the search engine is looking for specific information when creating featured snippets, any sort of help you can provide to help figure out content, is a bonus. Using the rel="publisher” tag will tell Google to associate your content with a credible source. Since it’s looking specifically for authoritative and trusted websites to feature in the Answer Box, strengthening your credibility is very important. Note that the rel=”author” tag used to be helpful here too, but Google no longer even looks at authorship. Use Google Search Console to test your structured data to avoid any errors that block search engines from properly reading your page. The structured data report in Google Search Console in Structured Data under Search Appearance will tell you if you’ve got errors on your page. 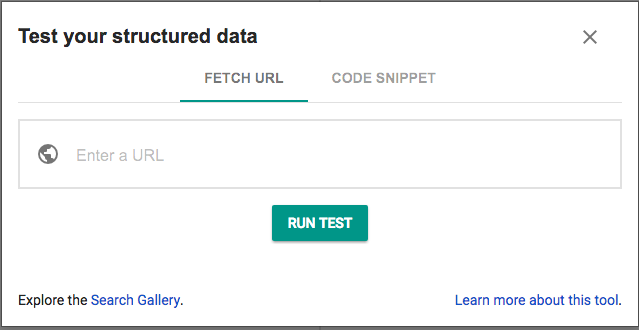 Test your code using the structured data testing tool. If you’ve got a newer site that hasn’t had a lot of time to build up authority and trust, you’ll face an uphill battle to get into featured snippets. Google relies a lot on trust when deciding what sources they use for featured snippets, which makes sense since they have to be confident that a website is going to give a helpful, in-depth and, above all, correct answer. 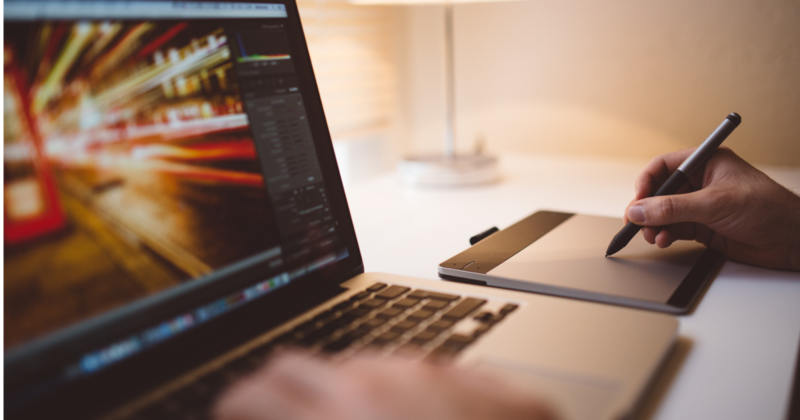 The good thing is that there are a couple of ways you can help make your site look more authoritative. The first is to create a Google+ page for your business. When you create your page, use the name you go by online, which is how most people know you. So, for example, if you’re UPS, your Google+ page should use that name, not United Parcel Service, Inc. Keep your profile active by posting regularly and do some work to get +1s for your content. The second thing is to request a page on Wikipedia. You’ve probably noticed that featured snippets often read a lot like a Wikipedia entry, and are very likely to actually come from Wikipedia. That’s for two reasons: Wikipedia ranks very well, consistently in the top five and very often in the top two results. Take advantage of this ranking power to get your name in front of a larger audience than you could normally reach on your own. The second reason is because Wikipedia is very trusted thanks to reliable citations like newspaper articles, press releases and academic sources. Getting your page accepted by Wikipedia can be really hard, particularly when you’re asking for a page for your business, so really follow their guidelines and read through the Organizations FAQ section for details on writing articles and disclosing potential conflicts. Note that this step isn’t about creating content that Google will use in its featured snippets - Answer Boxes aren’t part of the Knowledge Graph, which does use Google+ and Wikipedia data. What this step will do is help make you look like a credible and trustworthy source of information. 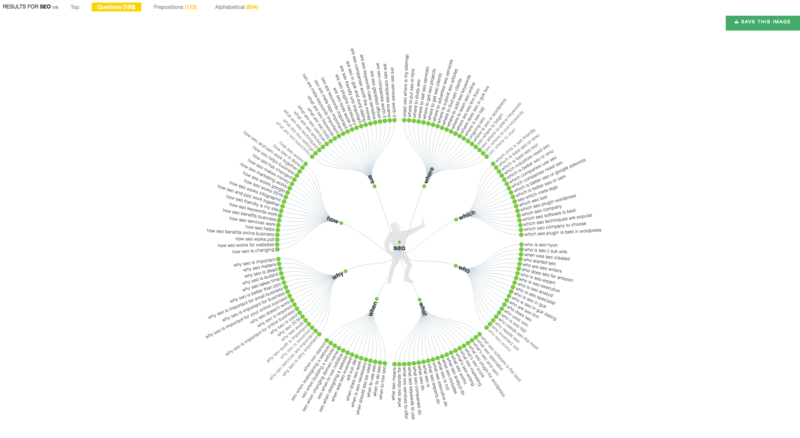 Answer Box optimization is a bit of a new frontier in SEO, there there are big opportunities to be had here. You’ll be able to get to position zero in SERPs, which is very effective in driving visitors to your site, improve brand awareness and increase your reach. The first step in Answer Box optimization is finding your keywords that trigger featured snippets, which you can now do in Google Search Console.